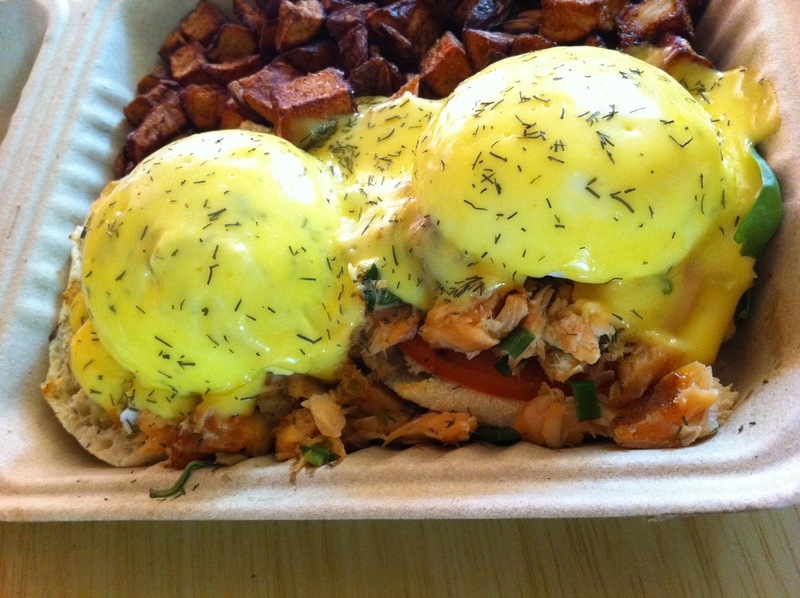 My favorite Eggs Benedict ever – English muffin, Smoked Salmon, Grilled tomato, Spinach, Poached eggs, Hollandaise sauce, and sprinkled with Dill….YUM!!! this looks so good–evil even –where is this from? Oh, it IS!! :) It’s from a fun breakfast place called Studio One Café. The Best Pumpkin Cheesecake Recipe Ever! Copyright 2012 Andrea Kelly. All rights reserved. No part of this website may be reproduced or transmitted in any form or by any means without written permission from Delano Publishing.